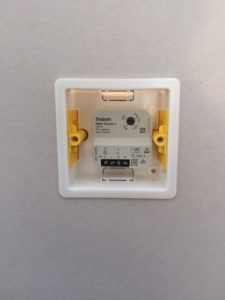 Theben, widely recognized as the gold standard for LED dimming in the KNX World, has broken new ground again with its latest DIMAX plus 230V ‘no knobs’ multi-point universal LED dimmers. 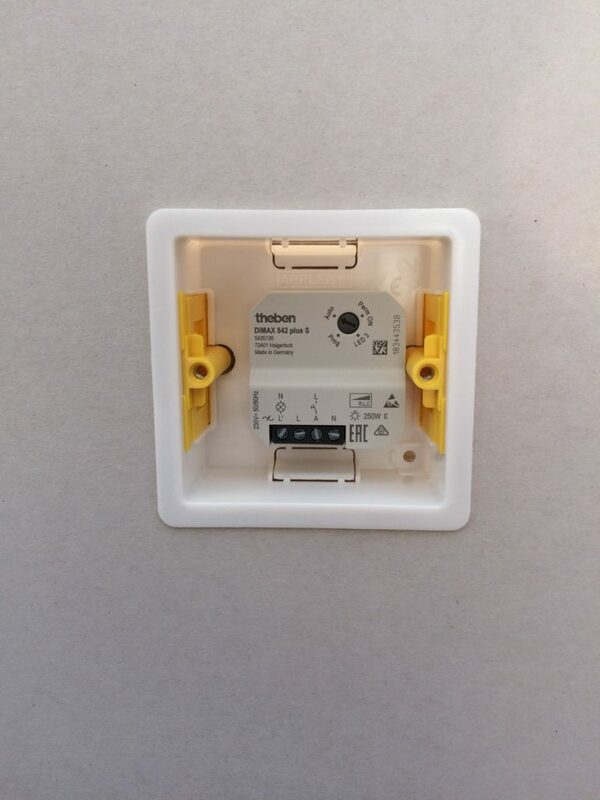 They enable users to dim and switch from anywhere in the room, not just one dimming point, and are compact enough to fit neatly behind your choice of retractive switch plate or above the ceiling in a suitable enclosure (wiring method determines the mounting location). Everything you need is offered: compatibility with all UK retractive wall switches, smooth dimming curves, universal load compatibility, up to 250W of LED dimming, scene setting (requires additional diodes) and a clever wake up/snooze function. Aesthetically DIMAX delivers what many customers have been asking for: clean uncluttered multiple gang plate or grid switches without the clumsy knobs.